A boozed-up reveller damaged his ex-girlfriend’s back door after they had a row during a night out. 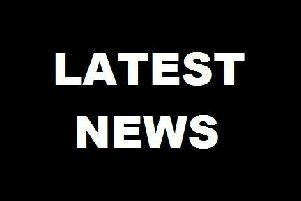 Chesterfield magistrates’ court heard on Wednesday, March 29, how David Burgess, 25, of Park Crescent, Chapel-en-le-Frith, smashed a plastic panel on his ex’s back door at her home in Buxton. Prosecuting solicitor Sarah Haslam said: “The complainant had been out drinking with the defendant and they had an argument and she told him to go home because he was so drunk. Ms Haslam added that the complainant returned home about 5am the following morning and by lunch time she discovered her back door was damaged with a broken plastic panel and a brick leaning against the door. One witness said they had seen the defendant banging on the complainant’s back door and a second neighbour said they had also seen a man banging at the door. Burgess, who has a previous conviction for common assault and damage, pleaded guilty to causing criminal damage after the incident on November 27, 2016. Defence solicitor James Riley said Burgess had wanted to return to his ex’s home to get his property back and when she said she was staying out he foolishly took matters into his own hands. Mr Riley added: “He accepts it was the wrong thing to do even though there was property there which he had a right to get including his wallet. Magistrates sentenced Burgess to a 12 month conditional discharge and warned him that if he re-offends in the next year he will be re-sentenced for the damage offence. Burgess was also ordered to pay £250 in compensation.